The below mentioned Important Dates/ Schedules for AMU BA LLB 2019 are tentative, once the official website release the dates will be updated here. Is the counselling date given is fixed or is it tentative? The date provided is as per the notification on the official website. To know more details on the important dates click here. 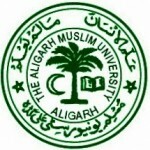 when will the AMU BA LLB will declare the result? The results will be announced on the 10th of July 2018. To know more details on the important dates click here.